Whether working with students to provide scholarship support, helping donors fulfill their philanthropic goals or providing funds for program development or facilities enhancement, the Black Hawk College East Foundation is committed to securing resources in the interest of education. The foundation helps facilitate the growth and development of the East Campus. Established in 1968, the Black Hawk College East Foundation's first project was to raise funds for a site for the establishment of a permanent campus and to establish a library. In the years after the campus was established, the foundation has provided support for the campus that includes scholarships, building projects, student apartments, equipment and many other special projects. The Black Hawk College East Foundation is a 501(c)(3) tax-exempt charitable organization that is governed by a volunteer Board of Directors consisting of business partners, college staff and other professionals. Board members provide oversight and direction to enhance our mission, objectives and service we provide to the entire region. Learn more about the history of Black Hawk College. Administers more than $90,000 in scholarships for students at the East Campus. Owns and operates a 24-unit apartment building with a capacity for 83 residents immediately adjacent to the campus exclusively for East Campus students. Owns approximately 65 acres immediately adjacent to the East Campus and provides 50 of these acres for use by the College as an agronomy lab for nominal rent. Serves as co-trustee and future beneficiary of two trusts comprised of a total of approximately 160 acres in Stark County. Serves as co-trustee and beneficiary of a trust comprised of approximately 80 acres immediately adjacent to the East Campus. This trust was established in 2008. Scholarship banquet honoring benefactors of scholarships and recognizing student recipients of scholarships. The Black Hawk College East Foundation administers scholarships based on a variety of factors, including merit and financial need. Scholarships are designated for various courses of study and other criteria. We also facilitate the opportunity for alumni and friends to make an investment in students as they prepare to be tomorrow's leaders and impact our community. Private gifts from alumni, friends, parents, corporations and foundations supplement the needs of Black Hawk College and enhance the overall excellence of the East Campus. 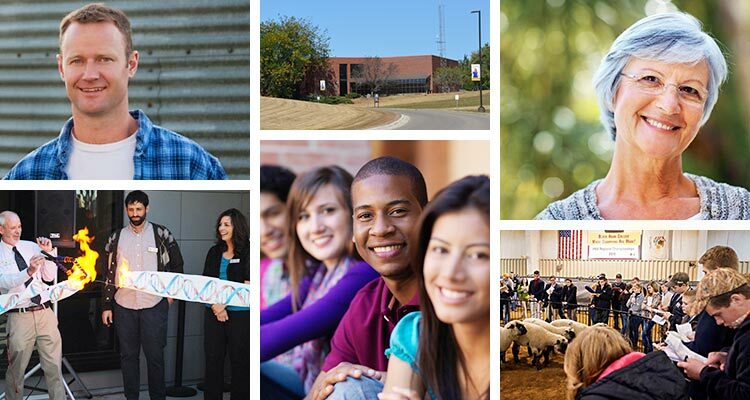 Because of Black Hawk College, the entire region benefits through our impact on local economic development; business and industry are strengthened through our workforce development programs; and individuals grow through our focus on personal growth and advancement.